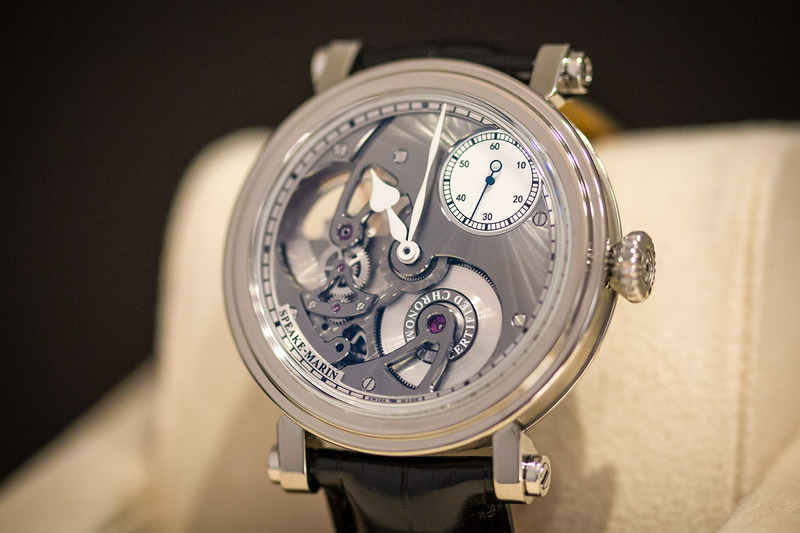 At the 2018 SIHH in January, the Carré des Horlogers, dedicated to independent watchmakers, featured the Speake-Marin House at the apex of its creativity and expertise. 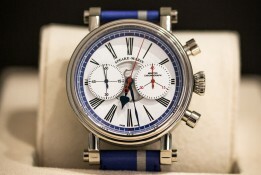 Speake-Marin successfully overcame a series of challenges at the beginning of the year by returning its focus to the movements so characteristic of the House, perfecting existing models by enhancing their finishing and sophistication, highlighting vintage calibers, giving precedence to titanium over steel, all while maintaining its audacious style. In a totally different register, another model on display in Geneva also drew much attention: the London Chronograph with two additional counters that seem to be floating above the dial to give a 3D effect. While its modern sporty look is extremely successful, purists will appreciate knowing that inside the reworked Piccadilly case lies a vintage movement: some thirty Valjoux 92 calibers dating from the 1960s have been found and placed in the 42mm-diameter titanium cases. Another lovely surprise, the One & Two Academic makes its appearance this year with a superb blue dial and a small seconds indication at the 1.30 mark that showcases all the distinction of this watch, one of a kind in its category. 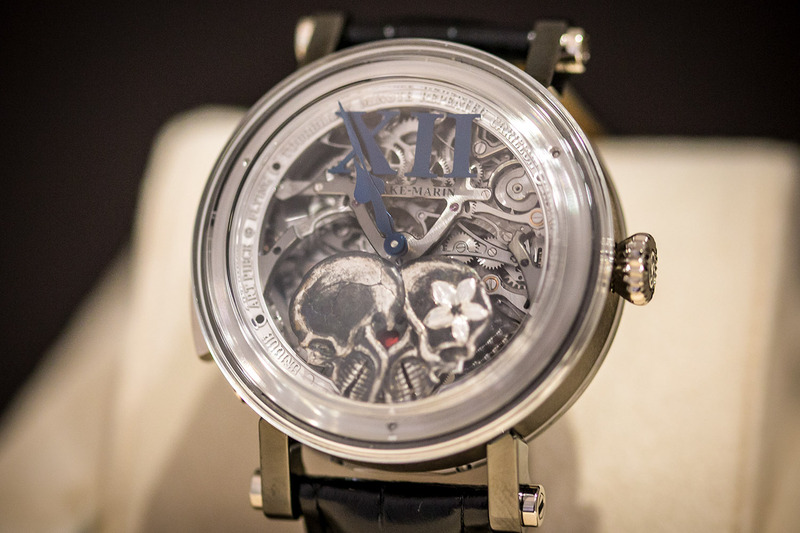 And how can you not be fascinated by the impressive Vertical Double Tourbillon Openworked with its 46mm diameter and spectacular decoration? 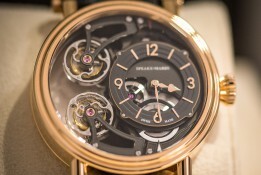 As gorgeous as it is rare since only three pieces will be produced. 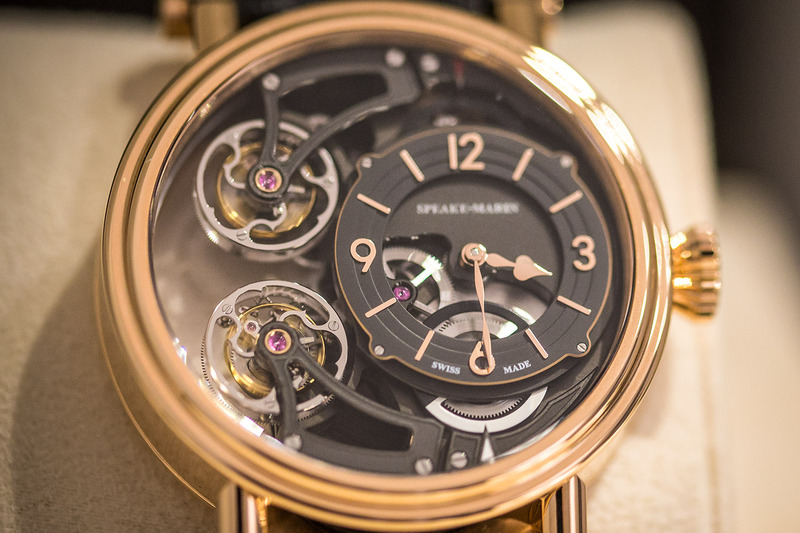 As you can well imagine, the entire Speake-Marin 2018 collection will win your attention as well as your heart!